I am so excited to have had a little extra time over the holidays to review some of the hot bridal hair trends for 2015 brides and can't wait to share with you some of my favourite looks and the biggest hair trends I spotted including Jennifer Behr luxury hair accessories and a different take on the floral crown! 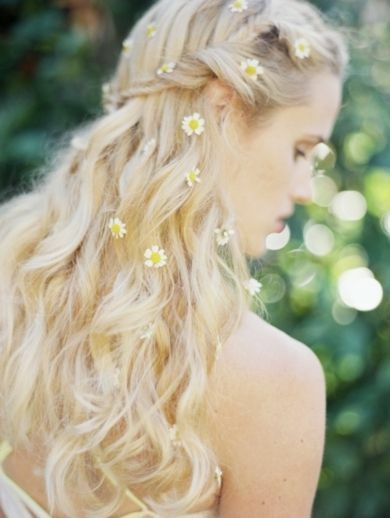 Gone are the days of the big blooms it is now time to adorn your hair with pretty little daisies, babies breath and wildflowers. The low bun a long-standing classic, worn with a sleek finish and detailed design creates a strong look for a chic bride or can be paired with a jewelled headband for a hopelessly romantic look too. The floral crown is still popular with the queen bee brides and does not seem to be going anywhere! Though I am excited to see the inclusion of gorgeous glided accessories and crowns from the likes of Jennifer Berhr. Whichever way you like to wear them....Halo braids, French plaits, Dutch braids, braided buns, and fishtail plaits this is a long-lasting hair trend that’s not going anywhere in 2015. 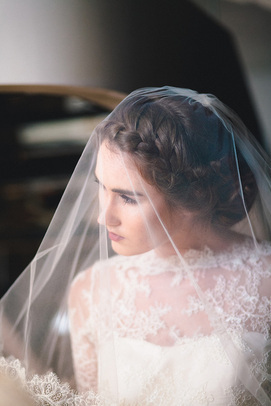 So will you be sporting any of these bridal hair trends for your 2015 wedding? If you live in Canada and would like to support our home grown talent check out Blair Nadeau Millinery, she hand-crafts beautifully unique bridal head pieces out of her Toronto studio. * All pictures sourced via Pinterest.